Following my final day at Animal Charity Evaluators back in August, I enjoyed a much-needed three-week-long vacation. I house-sat with Osi (the family dog) for a week, taking him to a local golf course for fun; we went out to two plays at the Kennedy Center; I got a chance to play way too many board games and video games with people I love and care about; and I even went on a trip to New York City, the highlight of which was the Nintendo New York store. 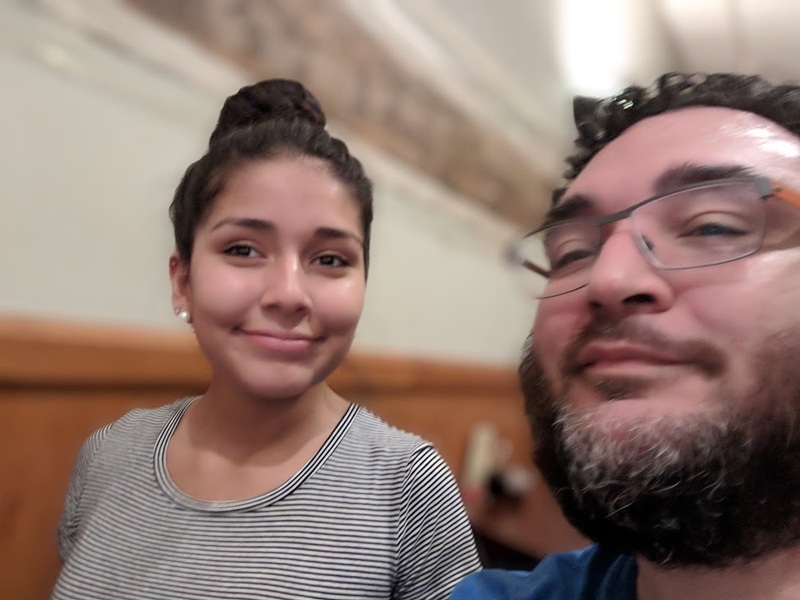 Plus, my sister was with me for part of my vacation, which is a big deal since I only get to see her twice each year. Admittedly, it was a little strange taking a vacation so soon after having taken another vacation (back in July for three weeks), but it just works out that way sometimes. It's not like I could choose when Dice Tower Con is held, nor could I really choose which date I could see Hamilton, due to the difficulty of obtaining tickets. 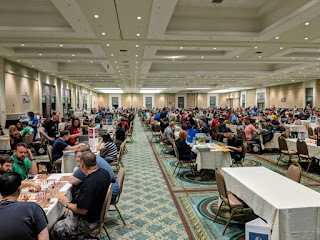 Dice Tower Con in Orlando, Florida. In July, I and several of my friends went to Dice Tower Con in Orlando, Florida. It was, as usual, extremely awesome. Conventions in general are awesome for introverts like me. Sure, each night I always need to go be alone for several hours in order to recharge for the massive influx of interacting with people each day, but other people do something similar, too (when they sleep), so it's not that different from most other peoples' experiences. At Dice Tower Con, the great part is the ease with which you can get games going with strangers. They have signs you can put up at your table to invite others to join, and it tends to work pretty well. The only poor experience I had there was a poorly run "escape room", which was inaccessible to a handicapped person in our party and for which the main devices had been broken by earlier participants. Also, despite being advertised as an escape room, it was more of an escape box, containing electronics that did not work. I especially hate the fact that in a paragraph about an otherwise awesome Dice Tower Con experience, the 'escape room' was so bad that my complaining about it takes up half the paragraph. The Color Purple in the Eisenhower Theater on August 21. The Kennedy Center production of The Color Purple was great. As usual, we sat in what I consider to be the best possible seats (box seats, two to the side from the center, in the very front), and I did my usual (which my partners sometimes chastise me for) of relaxing with shoes off and a drink at my side. I never drink during the play, mind you; but it's nice to have a water bottle at hand during intermission. But I still get quite a bit of flak for walking outside the box seat without shoes. I'm told that it's "inappropriate", but honestly: when you pay extra for nice seats, doesn't that at least warrant an allowance for feet comfort on the carpeted floor? The Color Purple. Photo by Matthew Murphy. As plays go, I'd seen better. 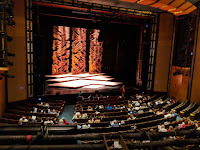 Maybe I'm biased, but it seems like the productions done in the Opera House at the Kennedy Center are almost always more enjoyable than the ones that are shown in the Eisenhower Theater. Nevertheless, I really enjoyed it because I went in blind. Watching the story unfold in person was a great experience, and the actors and musicians both did an excellent job. The production was too sparse for my tastes, though. It was literally a 50 foot backdrop of nothing but a wall from chairs were suspended; the actors then used these chairs as props for every action they took. Time to stand on a hill: stand on a chair. Time to harvest the crops: rotate the chair sideways by 90°. Time to crack a whip? Okay, they used a real whip that time. But still: nothing but chairs and a whip for props. I was told afterward that John Doyle (the director/designer) deliberately chose to do a minimalist production. While I'm sure that more cultured audience-goers than I fully enjoyed the minimalism, to someone like me who is relatively new to theater productions, I really tend to appreciate the costume changes and set designs much more. From The Partially Examined Life. 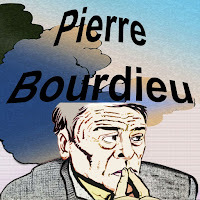 While we're on the topic, I'd like to bring up Pierre Bourdieu's Distinction: A Social Critique of the Judgment of Taste. 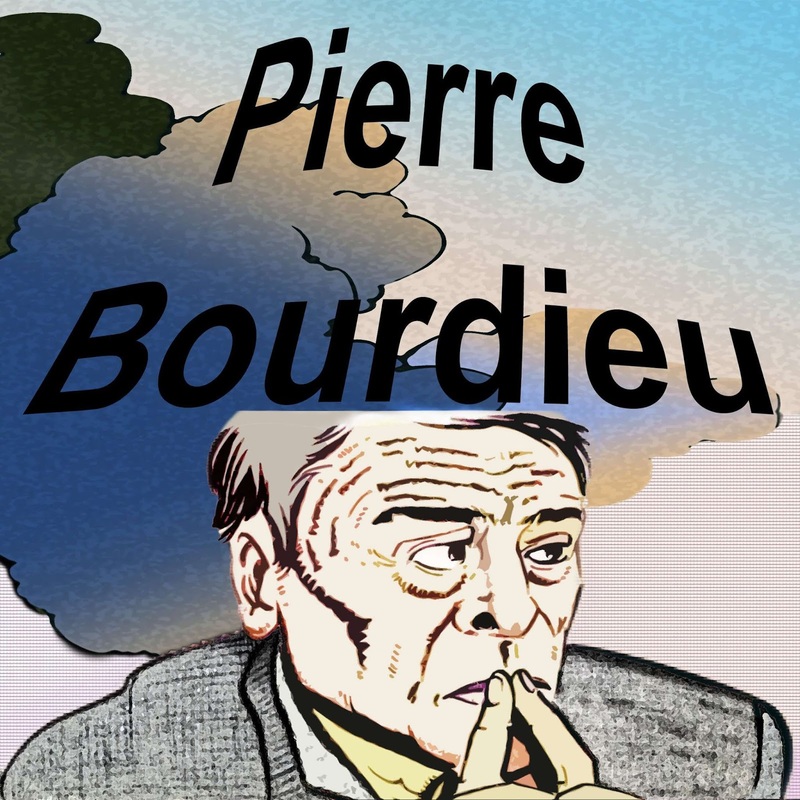 I've never directly read Bourdieu's work, but I did go moderately deep into his ideas through discussions with friends during a listen of The Partially Examined Life podcast episode on Bourdieu. The idea is that our tastes in art reflects our social position. In other words, my negative personal experience of John Doyle’s minimalist production is reflective of my 'middle-brow' vantage point. Not because my social position fails to allow me to experience the 'true' version of art on display here, but because humans' need for social strata creates an unconscious difference in how we perceive art. I'm not sure I agree with him (I'm generally skeptical of "just so" arguments that attempt to explain already existing data without presenting falsifiable claims), but I do find the ideas fascinating, especially after I found out that others who saw the play with me actually enjoyed the minimalist production unironically. For me, it was clearly the worst part of the show. The very next day, we saw Hamilton. It was absolutely mind-blowing. I'm not sure how exactly to put this. Generally when people review a play, they use words that talk about how good that play was in comparison to the usual reference class of other shows that are also called great. 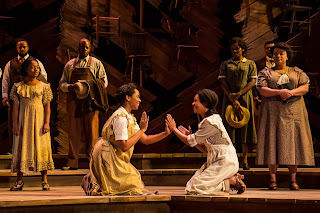 So earlier in this blog post, when I wrote that the actors and the musicians in The Color Purple both did an excellent job, what I meant was that, in a field of other high-quality plays, where the usual compliment is that they are excellent, this, too, should be considered excellent. In other words, it was expectedly good. The best expectedly good play I've seen was The Book of Mormon, and it was heads and shoulders above any other that I'd seen before it. It was so good that I actively sought to have others see it, despite its media being an art form that requires consumers to go through several hoops just to see it: you have to spend a relatively expensive amount for tickets, actually drive to a theater in a city big enough to get the play to show, and you have to do this during a time period not necessarily of your choosing; and then to top it off you have to make it a big part of your evening in order to fully appreciate it. That's a lot to ask for when your alternatives are movies that you can just watch at home while eating dinner, or reading a book that you can literally pick up anytime to enjoy, or games which allow you to interact with friends while enjoying the media. A play has to overcome a lot in order to get me to endorse it, like The Book of Mormon did. But Hamilton was quite different. It wasn't just a head and shoulders above the rest. Rather, tt may very likely have literally ruined all future play performances for me. It was utterly enjoyable on all kinds of levels. First: the instrumental music. This music is good. Themes are introduced and reinserted at appropriate times, pushing the story forward appropriately. It isn't just a catchy tune that a play was then written to make sense of. It isn't just a well orchestrated song that sits beside the story. Instead, the music pushes the story forward in the same way that good rpg video game music does. In early video games, voice acting wasn't a thing. So the music had to be a prime actor that informed the player of what was going on. In Final Fantasy VI, Nobuo Uematsu's songs had to immediately tell you the prime characters in a scene, firstly by reusing their theme; but then they also had to combine the themes of disparate characters that interact in a single scene to indicate where the story was headed. Doing this kind of work was horribly difficult in those days. Yasunori Mitsuda literally worked himself into the hospital during his composition work for Chrono Trigger. So to hear this style of story-driven instrumental music in a musical for the first time was absolutely amazing to me. Add to this the lyrics. Lin-Manuel Miranda used various styles of rap for each character to tell their story, and did so in ways that I've never seen in any previous musical. (See the genius lyrics annotations for details.) Phrases came into play early with one meaning, then get re-used later (alongside their musical accompaniment) with a different meaning for the phrase. This then happens several times, which reminds me heavily of reference-laden novels (in the James Joyce style, not the Ernest Cline or Cory Doctorow style of heavy referencing). For example: "not throwing away one's shot" refers not just to social-climbing, but also drinking alcohol in small glasses, telling his soldiers to literally empty their guns so as to be able to walk more quietly through the night, getting the woman he likes to be with him, remaining quiet about revolution (and later, about politics) in public so you can achieve what you want in public, and, most famously, about throwing away one's shot in a duel. This is just one example of wordplay that goes on throughout the musical. There are also themes on (for one example) 'being satisfied' that are woven throughout, like when Laurens' shot satisfies him, where the music interweaves the themes for "throwing away a shot" and "being satisfied" in a jerky 7/8 time signature. The way that this musical is written makes me repeatedly feel as though I need to watch it again and again to catch more, in an Arrested Development sort of way. The dance is perhaps my least favorite portion, because it sprinkles in references that are impossible to understand without reading background material. For example, "throwing away one's shot" uses a baseball pitching motion immediately before hand, then a gun pointed upward afterward. One of these I could get from watching; the other I can't imagine anyone getting just by watching them dance. This motif is then repeated when combining references, like "being satisfied" with a baseball pitch motion. Keep in mind that the dance moves are too quick to really see them like this, but if you watch supplementary material, they show the moves in slow motion and explicitly call out what each is meant to represent. So although I like the dancing the least, it's because it uses Cline/Doctorow style referencing, which (to be honest) isn't that bad. It's just not as good as the lyrics using Joyce-style referencing. The production is *amazing*. Sound is recorded in real time during the show and then played back to make an echo effect. Costumes are elaborate when they need to be and sparse when it makes more sense for the story. The set moves and flows with the story; people move into positions that make sense story-wise (not just for dance purposes), and the props are excellent. The floor moves to allow stationary acting to appear dynamic (it is a show about someone famous for being a writer, after all). And the lighting is on point. Seriously, some of the lighting patterns made the floor look as though a carpet had been laid down, and this one scene where the actors freeze time, then rewind it -- that was breathtakingly choreographed between the dancers, the sound designer, and the lighting person in a way that makes it just feel right. 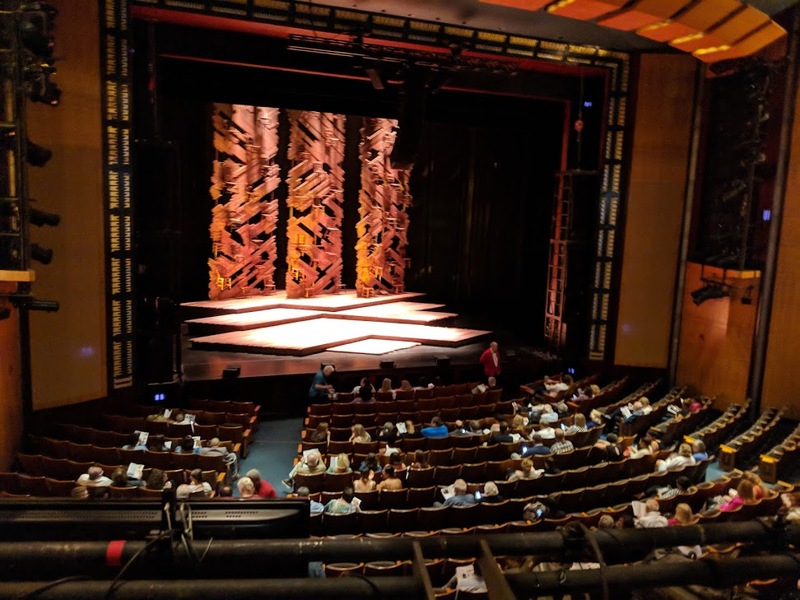 While the lyrics were the best part of the show for me, I nevertheless really need to call out the production team for doing a far better job at lighting, sound, set, and costumes than literally any other play or musical I've ever seen. It just worked. Hamilton was so good that I want to encourage anyone reading this to take the time and expense required to go see it. It's definitely worth it. Natalia and Eric at Vegetarian Dim Sum. Appropriately, not long after seeing Hamilton we went to visit Manhattan. It was my sister's first time, so we did some of the touristy type stuff, including visiting the 9/11 memorial and taking a ferry to see the Statue of Liberty. But in between walking through Times Square and seeing bull statues and too old graveyards, we also got a chance to eat at an all-vegetarian restaurant in Chinatown that Robin recommended to us: Vegetarian Dim Sum. And we were able to go shopping! This was exciting to me because my previous visits to NYC have all been about going to places that you see on tv. In other words: boring. I don't really get much out of being at the top of the Empire State building, other than perhaps it being an opening for me to talk about the concept of Schelling points to my traveling companions. And seeing the Rockefeller Center in person is just utterly wasted on me, despite having moderately enjoyed 30 Rock. Places just don't interest me as much as ideas. Touching a piece of the Berlin wall doesn't make me feel any differently from touching a random piece of rock, if you take away the story aspect of it. So NYC, for me, would be an exceptionally boring place if not for the chance to go to retail stores that have stuff I care about. And so my mini-shopping tour of NYC commenced. First: the Disney Store. Two floors of Disney paraphilia. It was…interesting, I guess. There were all kinds of shirts, but all of them were kid-sized, and none had anything I might ever want to wear on it. I like The Nightmare Before Christmas, but not enough to buy anything associated with it. Keep in mind that my office is full of plushes from My Little Pony, Kiki's Delivery Service, Final Fantasy, etc., so it's not as though I wouldn't want to buy something if it caught my eye. But all the Disney characters I saw were just too much aimed at children. Upstairs, the Star Wars section sold nothing but toys for kids and clothes for kids. The same was true for Marvel. I really thought I'd find something, but instead the only thing that held my attention for more than ten seconds in the entire store was a too expensive and too large Star Wars Lego set. I left disappointed. Nintendo NY. Photo by Gustavo Camargo. Tree of Creativity in Denmark Lego House. The final store I visited was the Lego Store. I've watched videos of the LEGO House in Billund, Denmark, and have been fascinated by stories from the architect, tours by fans, and the large variety of stuff on display there. 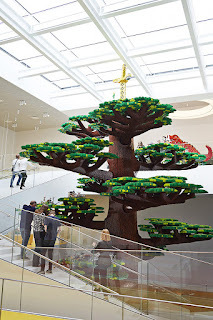 So when I saw a two story Lego store in the Rockefeller Center, I anticipated seeing great things. But from the moment I entered, my excitement was tempered way down. Sure, they had a lot of bricks and sets for sale, and there were two or three moderately sized creations on display, using 30,000 or so bricks. They even had a dragon that snaked through the ceiling that used maybe double that number. 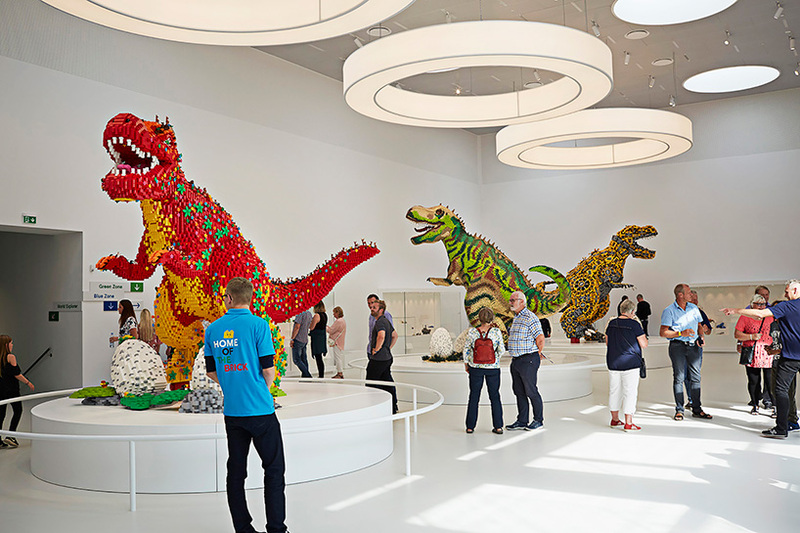 But my youtube experience of the Billund house had me expecting things like their three Dinosaurs (~253,274 pieces each) or their Tree of Creativity (6+ million bricks), so I came away quite underwhelmed. In retrospect, I should have expected this. I was expecting New York City to be the site of each company's grandest store, where they could really show off all that they have available. Instead, they all had to limit their ability to showcase impressive stuff due to the high cost of space in Manhattan proper. If all I wanted was to just buy something, I could have used Amazon instead. I should have realized: physical stores just aren't my thing. From left to right: duplo, standard, technic. They're each roaring because they've stepped on a lego brick. Both photos are by Lego; I can't find the photographer's name. There were several ups and downs during my vacation(s) this year. I didn't even get a chance to talk about playing six player rocket league, nor doing several board game nights (one of which had 8+ hours of straight board games), nor how I was able to dogsit Osi while binge-watching foreigners finally win in StarCraft for the first time, nor even just the pleasant time of being able to hang out with my sister and do nothing much whatsoever. We had friends come in from Malaysia that I hadn't seen for three years. We stayed in an awesome hotel in Savannah. We even went to Myrtle Beach. There were just too many good times to really name during July and August.